If you plan to buy a home or car, or make any other large purchase using debt, a high credit score can save you a lot of money in interest costs over the long term. But how do you build credit if you don’t want to go into debt? One possibility is to sign up to Rental Kharma, which reports your monthly rent payments to one of the three major credit reporting bureaus, TransUnion. You might assume your landlord already reports this information but few actually do. For a low monthly fee, Rental Kharma will report your ongoing rent payments and can even report prior payments made over the past couple of years so you earn credit from them too. 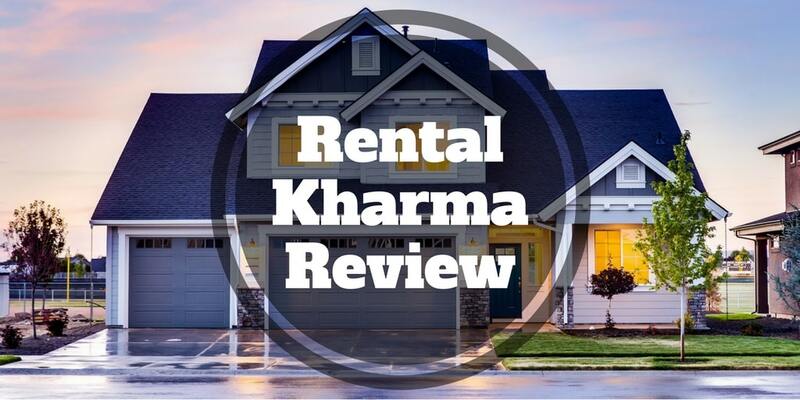 Is Rental Kharma Right For You? How Much Does Rental Kharma Cost? If you want to build your credit but don’t want to go into debt, a secured credit card is a common choice but it requires you to put down a chunk of money upfront. Rental Kharma believes you should not need to fork over a hefty cash advance or go into debt in order to build your credit score. Instead, you should be rewarded for payments you already make on time to your landlord. Generally, rental payments are not reported to credit bureaus by landlords. FICO claims that fewer than 1% of credit files feature rent as a line item or “tradeline” as it is called in the industry. To help renters get the credit they deserve for making monthly payments, Rental Kharma has built its company around reporting rental payments to a credit bureau. By so doing, your credit score can increase over time, which in turn leads to lower interest payments on any loans you take out in the future to buy a car or a home for example. How Much Can You Save Buying A Home? A good credit score is vital to saving money on interest charges and it is also crucial to credit card approvals. Without good credit, you may be left with few options other than a secured card to build credit. If you want a limit of $500 on your secured card, you will need to deposit $500 upfront. However, when you have good credit, you may qualify for a credit card with a $5,000 limit while making no cash deposit. The advantages of a good credit rating are not limited to lower loan interest charges and qualifying for credit cards, but extend to lower insurance premiums too. Insurance companies generally view applicants with higher credit scores as having lower risk compared to applicants with poor credit, and charge lower premiums accordingly. So, whether you are purchasing insurance for a home, renter’s insurance, or auto insurance, you can enjoy lower premiums. If you are struggling to build your credit or have a short credit history, Rental Kharma, may be a good fit for you. Rental Kharma helps you get credit for paying your rent on time by reporting your payments to a credit bureau. The one caveat is that reports are made to only one credit bureau, TransUnion. So, if your lender pulls credit ratings from Experian or Equifax, you won’t benefit. If Rental Kharma is unable to help you due to extenuating circumstances, you may qualify for a full refund as part of its money-back guarantee. If you already have a long history of making payments on a mortgage, auto loan, or credit cards, you may not benefit much from the added reporting. At the end of the day, your credit rating is influenced by a lot of factors. Late payments, bankruptcy, and the number of times you check your credit score as well as credit card, student loan payments, and a host of other factors all make a difference so your rent payments are just one of the many variables that affect your credit score. As a result, you should be aware that Rental Kharma is not a holy grail solution that will magically transform your credit score higher but it can be a contributing factor. It takes just few minutes to get started with Rental Kharma by filling out your personal and lease details. To get started you will need to pay a one-time registration fee of $25 plus an ongoing fee of $6.95. For this payment, the company will report your payment history. And it can do so retrospectively by up to 24 months too. The reason you might want to choose the past reporting option for $5 per month is your credit score is affected by your history of payments, and the longer the better. Once you’re set up as a member, Rental Kharma will spotlight appropriate credit card companies who can help you to further build your credit history. Rental Kharma charges a one-time registration fee plus an ongoing monthly fee. While you will pay an extra couple of bucks per month to add a spouse or roommate for ongoing reporting, no extra cost is applied to add them to a past reporting statement. If you have a limited credit history and don’t want to borrow to build your credit, Rental Kharma charges a low monthly price to help you and offers a money back guarantee if it cannot but it only reports to one credit bureau. ✅ Build Your Credit Debt-Free: Building credit generally requires paying off debt or depositing cash to qualify for a secured credit card but Rental Kharma helps you to build credit from rental payments you already make. ❌ Single Credit Bureau: Rental Kharma reports to only one credit bureau, TransUnion, so if your lender pulls reports from Experian or Equifax you may not benefit. ✅ Low Monthly Payment: The ongoing monthly cost is $6.95 and $5 for each month of past reporting. ❌ Limited Impact: The boost to your credit score from rental payments may be limited because so many factors go into calculating a credit score. ✅ Get Credit For Past Rental Payments: If you expect to borrow in the near future to pay for a home or car, even a small increase in your credit score can make a big difference to your interest payments over the long term and Rental Kharma may be able to help you by reporting past rental payments. ✅ Money Back Guarantee: If you sign up to Rental Kharma but for some extenuating circumstances the company cannot help you then you may qualify for a money back guarantee. ✅ Free Credit Monitoring: As a Rental Kharma member, you will receive a year of free credit reports and scores from Smart Credit. ✅ Bank Level Security: Rental Kharma uses two-factor authentication which is bank level security protection. ✅ No Long Term Contracts: If you wish, you may cancel your subscription at any time and you are not locked into any long term contracts. Most renters assume that their rental payments are reported to a credit bureau, which in turn helps them to build credit and increase their credit scores. As it turns out this assumption is wrong because fewer than 1% of landlords report rental payments to credit bureaus. Rental Kharma has stepped into the fray to help renters build credit for making timely rental payments. For a small monthly fee, Rental Kharma helps renters with little or no credit history get on the ladder of building credit without needing to resort to a loan or secured credit card. By so doing, customers can build their credit scores so when it comes time to pay interest on borrowings for a home, car, or simply paying insurance, the interest costs will be lower. A nice bonus is Rental Kharma can even earn you credit for past rental payments by reporting past rents up to a limit of 2 years prior. The bottom line is if you have a limited credit history and want to build your credit score without resorting to debt or secured credit cards, Rental Kharma is well worth a few minutes of your time checking out.